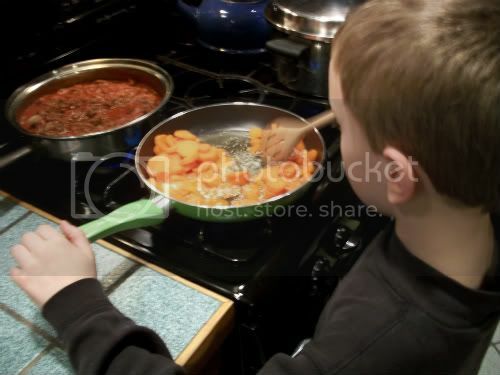 Tonight I brought my son, Sawyer, into the kitchen to help prepare a side dish for dinner. We had perused cookbooks together and Pretend Soup by Molly Katzen really interested him. Although Sawyer is a really good reader he was drawn to the rebus directions in this book. We had been sent a beautiful skillet to review from Batter Up Kid's Cooking Shop! and when he saw a skillet in the pictures he knew this was the recipe he wanted to cook with. 1. 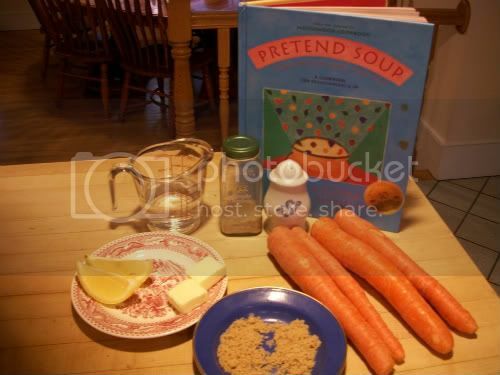 )The Cookbook suggest that the parent peel & cut the carrots into thin rounds. 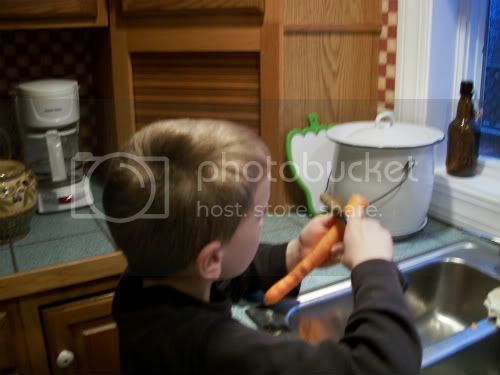 Sawyer has cooked in the kitchen often and is savvy enough to wash and peel the carrots himself. I did cut the carrots into coins and we boiled them until fork tender. 2.) Add all the ingredients to the pan. Turn the heat to medium. 3.) Cook and stir over medium heat until the carrots are nicely coated with syrup. The skilllet was a dream to use! The handle stayed cool the entire time so Sawyer was able to hold the handle with one hand and stir with the other. 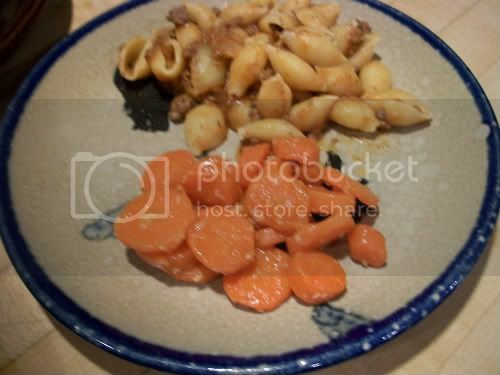 It has a non-stick surface that helped alot with this recipe, allowing the syrup to coat the carrots and not the pan. 4.) Transfer to plates. Blow on it until it is comfortable to eat. Eat! We enjoyed Sawyers recipe. But we all discussed the syrupy coating. We all felt it was a bit unnecessary. We love boiled carrots and felt the boys thought it was healthier that way. I can see if you had a really picky eater this could be a fun way to get those veggies into their diets. 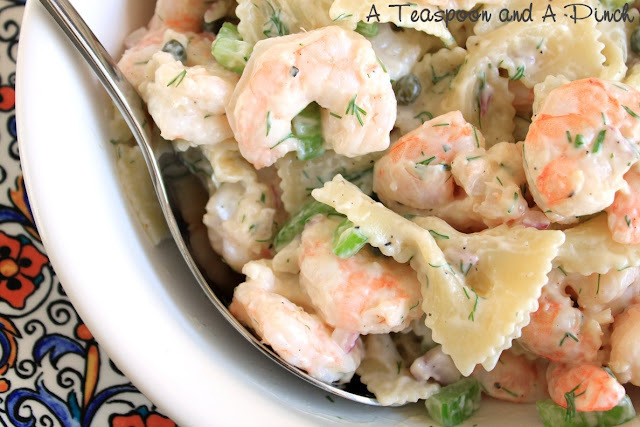 Our family gave this recipe a "4 Spoon" rating. Yummy and useful. The skillet cleaned up in hot soapy water like a dream. Sawyer hit the nail on the head when he said, "This is a real pan mommy, just like yours. It's not a toy." Thank you Batter Up Kid's Cooking Shop! 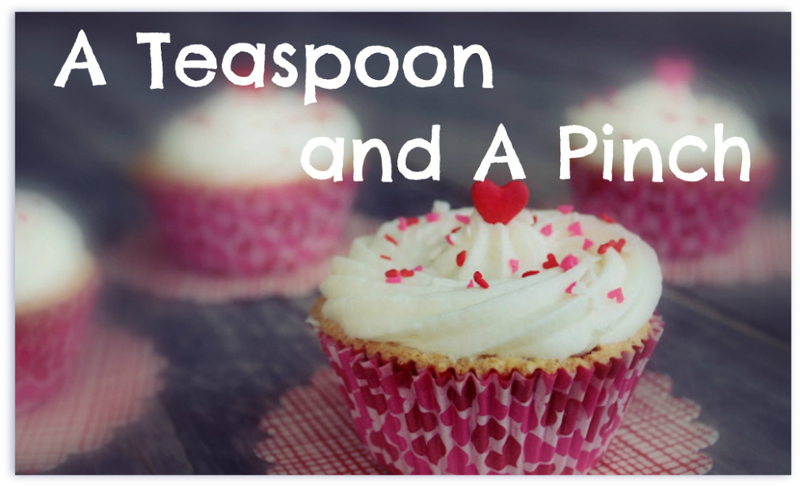 for creating equipment for children that gives them successful experiences in the kitchen. If you are interested in purchasing the skillet we cooked with you can score 50% off it and everything else at Kid's Cooking Shop through March 18th with the Spring Cleaning Time at Batter Up. Just enter the 50% off code: COUPON CODE M10318 at check out! !